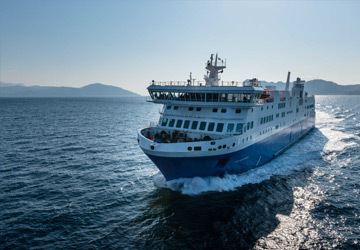 The St Malo Jersey ferry route connects France with Jersey. 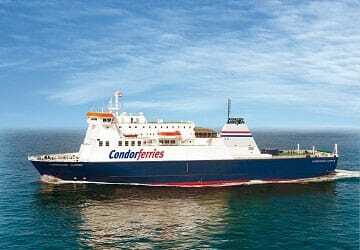 Currently there is just the 1 ferry company operating this ferry service, Condor Ferries. The crossing operates up to 14 times each week with sailing durations from around 1 hour 25 minutes. St Malo Jersey sailing durations and frequency may vary from season to season so we’d advise doing a live check to get the most up to date information. Prices shown represent the average one way price paid by our customers. The most common booking on the St Malo Jersey route is a car and 2 passengers. I have no complaints to make to Condor which is good. The only issue I had was when I tried to put the address for St.Malo into my vehicle's navigation system. We enjoyed travelling back to the UK using this efficient service. The staff were very competent in loading and disembarkng us and were very courteous in all departments of the boat. The facilitities,; seating, catering and toilets were all excellent. Thanks! "To and from Jersey St Helier with Condoe." Overall the trip (inbound and outbound) was quite enjoyable and comfortable. The crew (staff) were all helpful and polite and the food was quite acceptable. The return trip was delayed by five hours due to bad weather, we were warned of this in good time by Condor. A pleasant experience. From booking to disembarking we found this trip very organised. Loved the baggage checking and retrieval - much better than some other ferry companies we have used. Staff were friendly, efficient. Facilities on board were good, very clean. 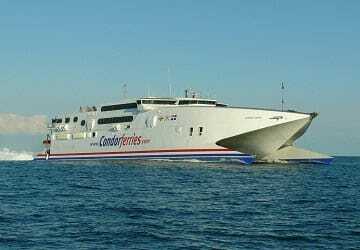 Going from St Malo, France to St Helier, Jersey could not be easier. The Ferry Terminal at both ends is clean, bright, comfortable and all the facilities one could want. The security and immigration (from non-EU passengers) is easy and not burdensome. Once on board the Ferry you can have either french or english influenced food of good quality and similar value to Jersey. Far preferable way to travel than by Air if you can. We enjoyed our Condor Ferry Trip to Jersey Isle. The weather was fantastic so the trip was very calm. The ferry was clean and very comfortable with excellent facilities. All the staff were friendly and very helpful. Would love to do this trip again. The French city and seaport of St Malo is located in Brittany in the north west of France and lies on the English Channel coast. It was built on an island of granite and has a unique atmosphere, wonderful scenery and lovely beaches. St Malo is popular with tourists from across Europe although for some visitors it is just the start or the end of a vacation to Brittany as they use the town's port to get too and from England. The town is widely regarded as the prettiest channel port in France with its cobbled streets, hotels, bars, restaurants and shops. There are streets and squares lined with tall mansions which are in turn enclosed by a complete circuit of ramparts. The modern harbour now connects the citadel to the mainland. The Port of St Malo has two new ferry terminals which have good passenger facilities including gift shops, cafes and bureau de change. 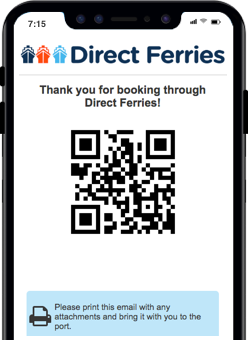 Ferry services from the port depart to Poole, Portsmouth and Weymouth in England, via the Channel Islands.